Buell has come up with a new version of its 984cc, V-twin powered Lightning CityX urban warrior with orange translucent body panels – if you prefer being anonymous this is not for you. Only 300 of this limited-edition model have been allocated to Europe, 50 of them for Britain. The bike's mechanical parts are clearly visible through the translucent cover of the air box and the flyscreen, with dramatic results – especially when contrasted with black handguards, headlight grille, cast-aluminium wheels and lower body panels. 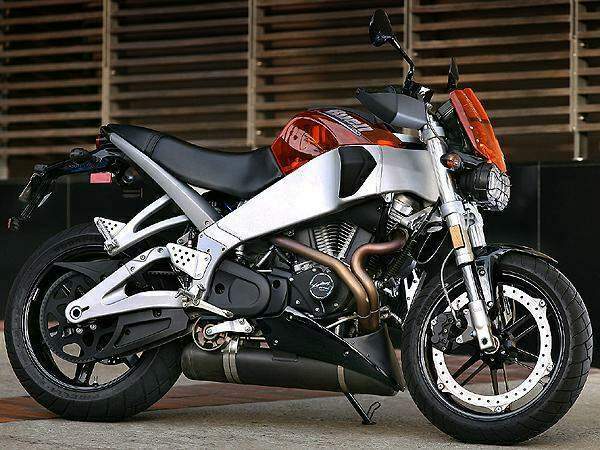 Buell's UK marketing manager Allan Brownridge commented: "Buell pioneered see-through styling on the first Lightning CityX in 2004. Our goal was to give city riders a bike with heaps of V-twin torque and a look that set it apart from anything else in the traffic. "Now we've taken that look even further." Special edition Valencia Orange translucent bodywork. Black handlebars, handguards, headlight grille, number plate bracket and wheels. Buell X air box guard. 984cc, fuel-injected V-twin engine claiming 62kW at 6600rpm and 85.6Nm at 5600rpm.